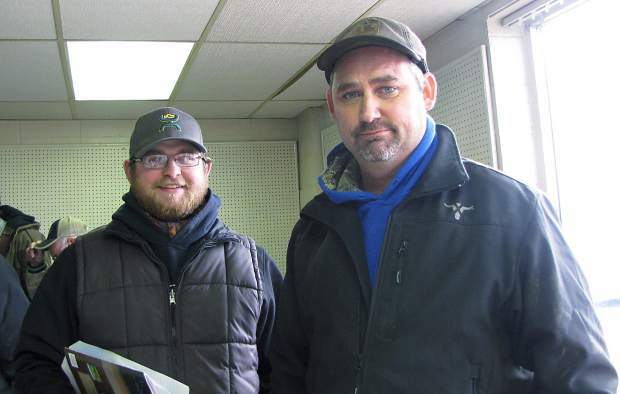 Jerrod Hilsbeck with the volume heifer buyer, Steve Brown, Hopkins, Missouri. 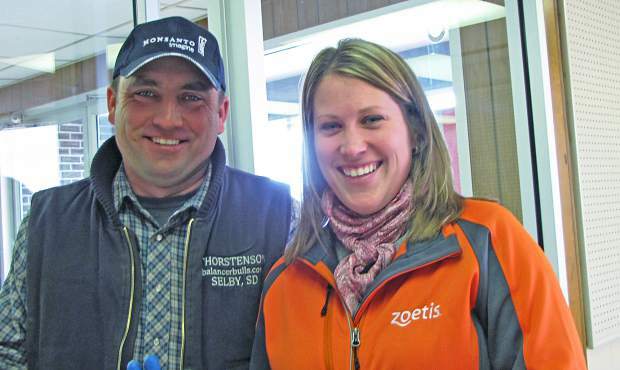 Billy and Summer Klein, Winfred, South Dakota, purchased eight bulls at the Larson sale. 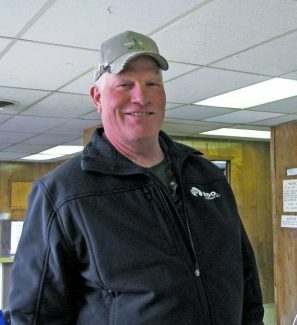 Mike Grace, Hartford, South Dakota, was a volume buyer with his purchase of six bulls. 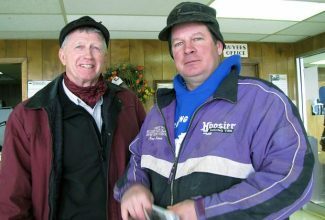 The Larson family hosted a packed crowd for their annual production sale at Presho Livestock. This ranch, located near Hamill, South Dakota, is now in its 106th year, with five generations being involved in the family operation, and the 6th generation on the ground. Black Angus, Charolais, Simmental, and Maine-Anjou bulls are offered at this sale, as well as fancy strings of mostly AI'd bred heifers that are big and outstanding. Many repeat buyers were on the seats, with several ranchers buying bulls in volume. The Larsons offer a first year breeding guarantee, a volume discount, and they keep the bulls for their customers until the first of May. The bred heifer sale, as well as the bulls, stayed strong throughout the day. Top selling Angus bull was Lot 9, selling for $9,000 to Doug Perry, Vivian, South Dakota. He was a son of SAV Resource 1441 and out of a daughter of Nichols Extra K205. With EPD's of BW 3.8, WW 59, YW 108, and MILK 28, this Angus bull weaned at 728 pounds. He had a yearling weight of 1,377 pounds, a rib eye at 14.5 sq. in. and a 39 cm. scrotal measurement. Another Angus bull at the top of the list was Lot 46, selling to Larry Ryno, Wood, South Dakota. This son of SAV Final Answer was out of a daughter of Really Windy 1205. Born at 84 pounds, he weaned at 818 pounds and grew to a yearling weight of 1,485 pounds. Jerry Bush, Onida, South Dakota, bought Lot 42 at $7,250. Here was a son of Sitz Upward 307R who was out of a Freightliner daughter. His birth weight was 82 pounds. He weaned at 752 pounds and posted a yearling weight of 1,489 pounds. Lot 71 sold to Herb Jensen, Langford, South Dakota. Here was an Angus son of Final Answer with a 75 pound birth weight and a weaning weight of 804 pounds. The highest selling Charolais brought $9,000. Lot 96 sold to a Texas buyer and was a son of LT Bluegrass 4017P. Born at 94 pounds, he was out of a Cigar daughter. He weaned at 840 pounds and grew to a yearling weight of 1,482 pounds. Sonia Aasby, Presho, South Dakota, bought the second high selling Charolais bull for $8,500. The top selling bred heifers were the Red Angus, and they averaged $3,450 per head. Volume bull buyers were the Knippling Ranch, Chamberlain, South Dakota, and Herb Jensen, Langford, South Dakota, with each buying 10 bulls. 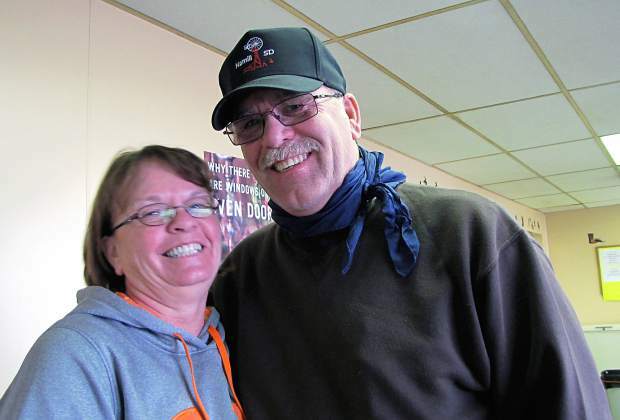 Bill Klein, Winifred, South Dakota, bought 8 bulls. With a purchase of 6 bulls each, Mike Grace, Hartford, South Dakota, and Millard Ranch, Presho, South Dakota, were next in line.